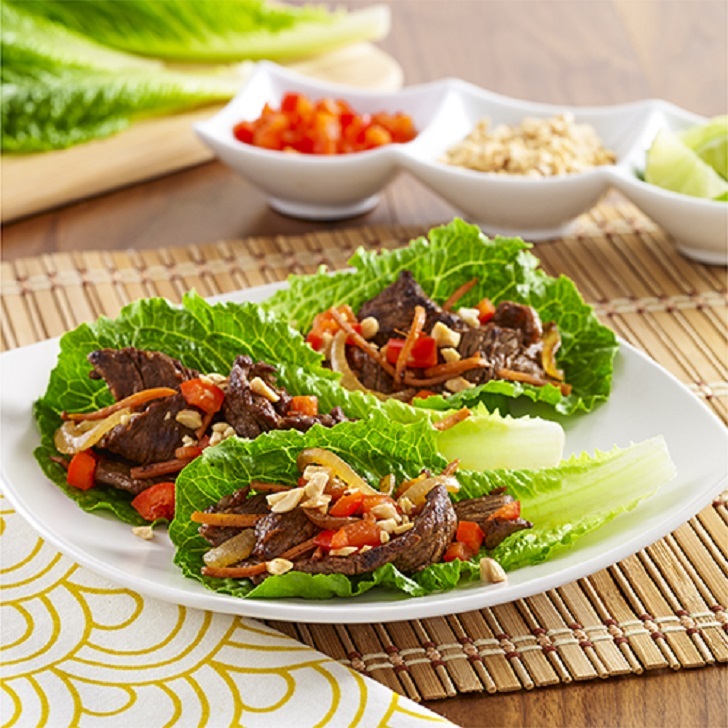 Steak lettuce wraps filled with thinly sliced steak, carrots and onion tossed with a spicy chili sauce. In a frying pan heat the coconut oil on a medium-high heat, add the onion, garlic, carrots, chili & lime juice. Cook for 3 minutes & add the steak strips. Cook the steak to your preference. Remove the pan from the heat & allow to cool. Place the lettuce leaves on a plate, add the beef & garnish with cilantro. Serve immediately. Yummy!